This Inn features newly renovated rooms, free wifi, an outdoor swimming pool, free truck parking, flat screen TVS, and select rooms with microwaves and mini-refrigerators. Book your stay now! Along with newly renovated rooms, free WiFi, and our pool, we offer coffee for our guests and we would love to host all members of your family at our pet friendly property. Many eateries, Lake Lanier, and malls are nearby! Stay with us. Lanier Islands (13.6 miles) features activities for everyone. Come here for boating, golf, horseback riding, hiking trails, canopy tours and more. This attraction also hosts many weddings and meetings throughout the year. Stay close, stay with us! The Georgia Trail at Sugarloaf (6.4 miles) is a public golf course located in Duluth, GA. This is not your typical executive golf course. The trail features multiple areas to learn, play, shop and relax. Book a tee time then book with us. 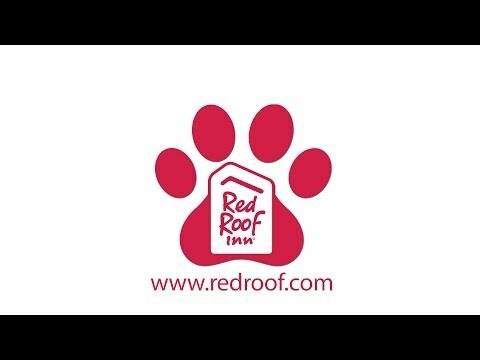 At Red Roof Inn, “You Stay Happy, Pets Stay Free!” Don’t worry about leaving your four legged friend behind, bring them with you when you stay with us! Downtown Atlanta (30.1 miles) has so much for you to explore. Watch this video and plan your travels. It’s worth the trip! BOOK NOW. The Red Roof Inn Atlanta – Suwanee/ Mall of Georgia welcomes you. Enjoy a nice stay at a nice price at our newly renovated property located off of I-85. Free WiFi, flat screen TV's, rooms with refrigerators, a pool, pet friendly and truck parking are just a few of the features you will enjoy as our guest. Book now! Infinite Energy Center (4.7 miles) features three venues: the arena, forum, & theater. Events at the arena include '19 Spring Dance Festival 4/20, Disney on Ice 4/25-4/28, Little Mermaid Ballet 5/4-5/5 and more! Book Now. Feeling hungry? Check out one of these nearby restaurants: Cracker Barrel, Orient Garden, Outback Steakhouse, McDonald’s, Taco Mac, and Twisted Taco are all less than a mile, Subway (1.1 miles), and Domino’s Pizza (2 miles). Eat well, sleep well. Stay with us. Save by staying with Red Roof Inn and have more to spend on your shopping spree at these two nearby shopping malls. Check out Sugarloaf Mills (4.8 miles) and Mall of Georgia (5.8 miles). Book your stay now! Chateau Elan Winery & Resort (16.2 miles) sits among acres of vineyards and also hosts two dining restaurants. Plan your trip and take a public or private wine tasting and tour. Public tours are offered daily and you have 5 different options when it comes to private group wine tours. Chateau Elan also features golfing, a spa, meetings and events. Stay with us! Stone Mountain Park (21.7 miles) features attractions like Summit Skyride, the JUMP, & Yogi Bear 4-D Adventure. Check out festivals & special events happening here like Memorial Day Weekend - Salute the Troops 5/24-5/27. BOOK HERE. Our hotel in Suwanee, GA has 1,000 square feet of meeting space available! Please call 770-932-1939 to book your meeting. Stay with Red Roof Inn Atlanta - Suwanee! The rooms are clean, they smell good, and they are updated. The area is safe, it is near lots of restaurants, and Jose' was an extremely great help! This is the only place I stay when I am in town. Just because it's cheap, does not mean it can't be clean! BOOK NOW. Visiting the campus of one of these nearby schools? Stay with us and spend less time on the commute. There’s the University of Georgia Gwinnett Campus (3.6 miles), Gwinnett Technical College (6.4 miles) and DeVry University (8.7 miles). BOOK NOW. Flying in to Gwinnett County Airport-Lzu (10.9 miles)? Stay nearby, stay with us!